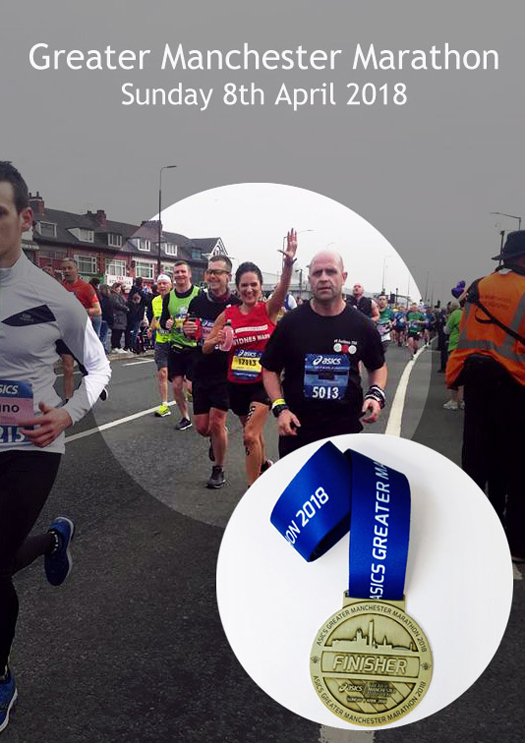 The Manchester Marathon was established in 1908 until 2002, after a break of nearly ten years they brought it back in 2012 and it has run annually ever since. Each year they partner with a range of charities, their official charities for the 2018 Marathon are Cancer Research and Alzheimer’s Society. By joining the race, Helen contributed to the money raised for these charities and for this we are very proud of her. It was an extremely early start and an overcast morning, never-the-less Helen prepared to hit the roads of Manchester in a bid to beat her previous time. Helen is part of her local running club, The Widnes Wasps and has been running with them for just over 3 years. Helen set off around 9am and finished her race just after 1pm, completing the race with a chip time of 3 hours – 53 minutes and 39 seconds. She did it, she beat her previous time of 4 hours and 7 minutes! We are immensely proud to have such an active and enthusiastic member of staff on our team. We are also very pleased for her, as she achieved her ‘Personal Best’ time and had a great day with her fellow Wasps.